Biochemists working at the University of California, San Diego, have developed a program that predicts the placement of chemical marks that control the activity of genes based on sequences of DNA. They describe their analysis and report results from its application to human embryonic cells in a paper published in Nature Methods online September 21. These patterns of activity are controlled by modifications of the DNA that do not alter its sequence—chemical tags that influence which genes are read and which are skipped within a particular cell. By comparing sequences with and without epigenomic modification, the researchers identified DNA patterns associated with the changes. They call this novel analysis pipeline Epigram and have made both the program and the DNA motifs they identified openly available to other scientists. “The interplay between genetic and epigenomic regulation has only begun to be deciphered,” said Wei Wang, professor of chemistry and biochemistry who directed the work. “This study revealed that there are specific DNA sequences that are recognized by DNA-binding proteins,” which specify exactly where other enzymes place epigenomic marks. 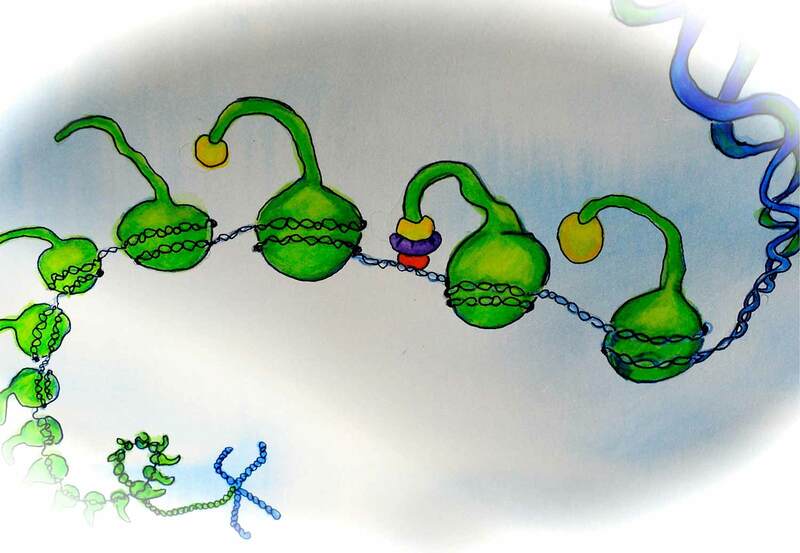 The epigenome guides the development of complex organisms from single fertilized eggs. The researchers analyzed epigenomic patterns in human embryonic stem cells and four cell lineages derived from them to catalogue genetic elements that shape the epigenome during development. Damage to the epigenome not only disrupts development, but can happen at any point in our lives and sometimes leads to illness. Identification of the DNA sequences that guide the placement of epigenomic could guide experimental analysis, the authors say. By editing DNA sequences that control epigenomic modifications, scientists could probe their functions and perhaps in the future mend epigenomic mistakes that cause harm. Additional author Zhao Chen is a postdoctoral researcher working with Wang. John Whitaker, a former postdoctoral researcher in the group now works for Janssen Pharmaceutical Companies of Johnson & Johnson. A grant from the National Institute of Environmental Health Sciences to the San Diego Epigenome Center partially supported this work.